The randomness of life is brought home to us again as we deal with the shock of the death of a 19 year old man, and the agonizing deterioration of those with recently diagnosed painful terminal disease. We need to be clear about one thing: whatever else we may be, we are just machines: structure (bones etc), electrics (nerves), plumbing (blood vessels) and padding (too much for many of us). And all this goes wrong from time to time, just as ceilings drip. When things go wrong, we are not being punished, despite what some religious nutters say. 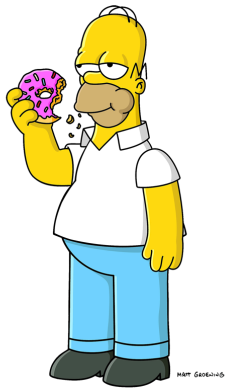 We are simply witnessing the fact that, in the words of the well known philosopher Homer (Simpson), stuff happens. Let us be tender and compassionate with each other, and live this day as if ‘twere thy last—because it jolly well might be.